What is it about those dancing hamsters that’s won the hearts and minds of car buyers across America? They pull up partying in a now-ubiquitous small "crossover” with its speakers’ lights bouncing through colors at each thump of the bass. They B-Boy and beat-box to the beat, inviting you to join the unpretentious party for the low, low price of a . They give a familiar fun-loving face to the odd-looking car rather than shroud it in low lighting and Top 40 hits like the Scion xB, Nissan Cube, or Honda Element’s marketing team did. And you know what? That approach has worked for Kia because as happy and carefree as those hamsters look on the surface, underneath they move with the knowledge that they’re dancing on the lifeless bodies of their competitors. Without mentioning much more than a lifetime sales tally of over one million vehicles, perhaps the best metric to highlight Kia’s success with the Soul is the fact it’s still selling over 100,000 of them per year even after a mass extinction event left the competition dead. 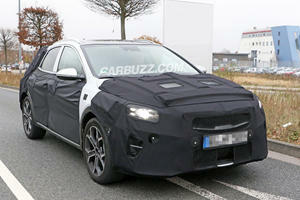 And the music hasn’t stopped for the subcompact urban crossover. And that’s why Kia flew us out to San Diego and had us drive the third generation Soul, so we could see if it still has its moves. There’s a moment in one of Kia’s Hamster commercials where they’re dancing to Black Sheep’s "The Choice Is Yours.” As they sing along to, "you can get with this,” the Hamsters point at the Kia Soul. When the lyrics swing back around to, "or you can get with that,” they point at various box-shaped appliances on four wheels, like a toaster or washing machine. And therein lies the difference between the Soul and its deceased foes: the fact Kia never tried to make the Soul look like a box. From the get-go, designers envisioned the car as a "boar with a backpack.” Sure, it’s boxy, but it also has rounded edges and doesn’t try to look aggressively different like the Cube or xB did. To avoid straying from that successful recipe, the 2020 Kia Soul keeps many of its original lines and makes most of the cosmetic changes to the front and rear. The side profile does get an upgrade, but it’s contained at larger front door openings and a floating C-pillar to make the roof look like an airplane wing. Having been split along five trim lines, the sporty GT and the rugged-looking X-Line being the two we drove, the Soul’s exterior appearance varies depending on which trim you pick. All of them feature a new front end with a Tiger Nose grille that’s been enlarged and pushed down close to the base of the front fascia, as well as slim headlights and turn signals that give the Soul a more focused appearance. At the rear is a tailgate with a wider and lower opening to make putting things in easy, as well as three-dimensional boomerang taillights that connect at the top and make the light look like a single curvaceous strip. GT-trimmed Souls get a sporty-looking body kit that includes red accent lines on vehicles not already painted red, a Y-patterned grille, dual exhaust tips sitting center in the rear bumper, and darkened light fixtures above the Tiger Nose grille. X-Line versions get add-ons that make the Soul look ready for the trails, including clear light fixtures above a diamond-patterned grille, unique wheels, and black body cladding to give the impression that this Soul is built for off-pavement adventures. Despite the X-Line’s looks, there is no way to option all-wheel drive on the 2020 Soul. The standard power plant is a 2.0-liter inline-four that comes mated to either a six-speed manual (hallelujah) in the base LX trim or a CVT in all other trims. The 2.0-liter sends 147 horsepower and 132 lb-ft of torque to the front wheels regardless of transmission, but we were depressed to learn that none of the testers Kia had on hand were equipped with the manual. With the CVT, the 2.0-liter feels adequately powered and the continuous transmission is one of the more bearable we’ve driven thanks to programming that lets it fake shifts a moment before the engine’s drone gets too annoying. It could stand to intervene earlier, though, since long bouts of revving aren’t totally absent, but if that’s a real issue for you then it’ll be wise to opt for the 1.6-liter turbocharged inline-four. That engine solves all the 2.0-liter’s woes, delivering 201 horsepower and 195 lb-ft of torque linearly after a slight pause for the spooling twin-scroll turbo. While it doesn’t come mated to the manual, it does see the CVT swapped for a 7-speed dual clutch transmission that changes gears quickly and smoothly. Both engines get the help of a start-stop system, allowing the 1.6-liter to come close to the 2.0-liter CVT’s EPA mileage rating of 27 mpg city, 31 highway, and 27 combined. It manages only 1 mpg less in its city and combined ratings while the manual ranks as the least efficient, attaining only 25 mpg city, 31 highway, and 27 mpg combined. Utility vehicles with low price tags and mileage ratings as high as the Soul’s usually take a hit to cabin quality, where cheap materials highlight where the manufacturer cut corners to sell so low. The Soul, however, does not follow suit. Base models go without the 10.25-inch touchscreen display and make do with a 7-inch unit, but regardless of how you cut it the system is easy to read, intuitive, lands on the better end of the infotainment system spectrum, and comes with Apple CarPlay and Android Auto in case you’re still not satisfied. A wireless phone charger is optional for those wanting to keep their Souls well into the cord-free future, and overall interior quality feels high, making the prospect of a long-term relationship with the Soul sound pleasant. Buttons feel solid and the atmosphere is one of cohesion and ironclad build quality. The Soul also keeps its signature feature: colorful lights around the speakers that set the mood and can change hues to the music. For this generation of Soul, the system has been enhanced with additional lights that illuminate a 3D pattern on each of the front doors. Opt for the available 640-watt, 10-speaker Harman Kardon sound system and the Soul becomes a vehicular milkshake that’ll bring all the hamsters to the yard (groan here). But the Soul has more party tricks than that. For drivers who like having an 8-inch head-up display pop out the top of the gauge cluster, Kia enables that experience if the right option is ticked. We found ourselves stowing it seconds after activating it because, well, the Kia Soul isn’t exactly the Stinger GT. Spirited driving is something the Soul can do well but it wasn’t specifically designed with that in mind. Since the Soul’s boarish proportions fill out most of its 165.2-inches of length, 70.9-inches of width, and 63-inches of height, the eyes are quick to label it as a cumbersome vehicle better suited for the daily commute than road-going fun (aside from in-car karaoke sessions). The interior is no different thanks to 120.9 cubic-feet of interior volume, making the Soul a step up from the Niro for those needing the space. A decent 24.2 cubic-feet of storage behind the rear hatch is enough to swallow up about three carry-on bags, but the interior can quickly be transformed into a holding space for cargo with 62.1 cubic feet of storage by putting the rear seats down. The only clue that the Soul is as good to drive as it actually is is its 102.4-inch wheelbase. There isn’t much about the wheelbase that makes the Soul such a good driver, though the fact its curb weight sits between 2,802 and 3,036 pounds certainly helps. What makes it stand out as one of the segments most well put-together drivers is its suspension and steering. Whether straddling slippery curves during a freak snowstorm in the hills east of San Diego or enduring potholes near downtown’s Petco Park, the Kia Soul strikes a very BMW-esque balance (*cough* thank *cough*), feeling supple and insulated from bumps while delivering a highly engaging drive in the process. In a span of 100 feet, the Soul can calmly absorb a bump - its quiet interior hardly letting a peep of noise inside - and then lean into a corner so smoothly and predictably that it almost, just almost, begs for more. The steering is another piece of the puzzle that’s better than it has any reason to be. It’s weighted just right for comfortable, controlled driving but is incredibly direct and has a clearer on-center point than some AMGs. It can be both an afterthought and a component of an enjoyable drive, no switching between Normal or Sport mode needed. Going into Sport mode only sharpens up throttle response and holds lower gears longer upon acceleration, making it the go-to setting for climbing hills without interruptions from the gearbox. A greater degree of control can be attained using the paddle shifters that accompany the 7-speed DCT or by shifting the CVT’s gear selector into manual mode. 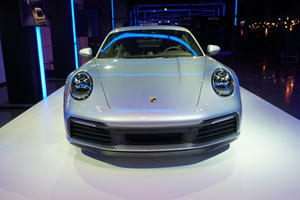 Most control can also be relinquished to the Soul’s optional suite of driver aids during more boring stretches of road. These include forward collision avoidance with pedestrian detection, lane-keep assist, lane change assist, adaptive cruise control, and blind spot as well as rear cross-collision warnings (though visibility is good enough that you’ll rarely need these). 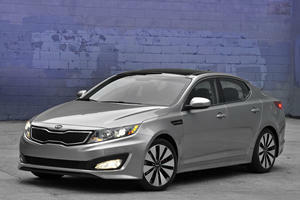 Central to what we expect will make the Soul another smash hit for Kia is its price. 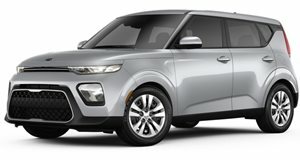 Starting at just $18,485 for a manual Soul LX and $19,985 for the CVT-equipped version including destination, Kia has once again given America a car that punches outside its weight class and gives anyone skipping Korean for Japanese a reason to question just what they’re doing with their lives. If you, like us, enjoy the looks of the GT-Line more than the $22,485 X-Line, expect to shell out $21,285 including destination. To reap immense joy out of your powertrain, you’ll have to spend a cool $28,485 including destination for the GT with the turbocharged 1.6-liter engine, but Kia also has plans to satisfy customers who look longingly at Tesla Model 3s by debuting an all-electric Soul EV capable of 243 miles per charge in the near future. Given the Kia/Hyundai duo’s recent foray into the next generation of EVs (the only got 93 miles per charge), it’ll be exciting to see how the next Soul EV drives. But that’s no reason to look over the gas-powered 2020 Soul. Whatever wave Kia and Hyundai seems to be riding has seen it churn out high-quality vehicles that handle well, feel upscale, define Korea’s identity in the automotive world, and exhibit a sense of cohesiveness brought on by consistent quality. The Soul not only continues that, it nudges the bar higher. Yes, we love to hate on crossovers like most other auto writers because they’re not as simple as sedans or cool as hatchbacks, but the 2020 Kia Soul is one we can eagerly welcome into our good graces. You’d be a fool to miss out.